As Valentine’s Day approaches many of us are looking for simple, delicious recipes and today I have one for you! This one isn’t skinny in any way, shape or form but hey, we can indulge now and again. Begin by spraying a 9×13 baking dish with cooking spray and chill it in the refrigerator. In a large saucepan combine 2 cups of sugar, applesauce, Jell-O and gelatin and stir constantly over medium heat, allow it to come to a boil for 1 minute. Pour into the cold baking pan and place in the refrigerator until it’s set. I actually placed mine in the snow outside for 1 hour, because I’m Canadian and all. Run a spatula around the perimeter of the set gelatin and slide underneath very carefully to loosen. Sprinkle sugar onto a cutting board and invert the pan over it, the gelatin should slide out. When I flipped mine out, I saw a wee heart in bubbles isn’t that amazing? 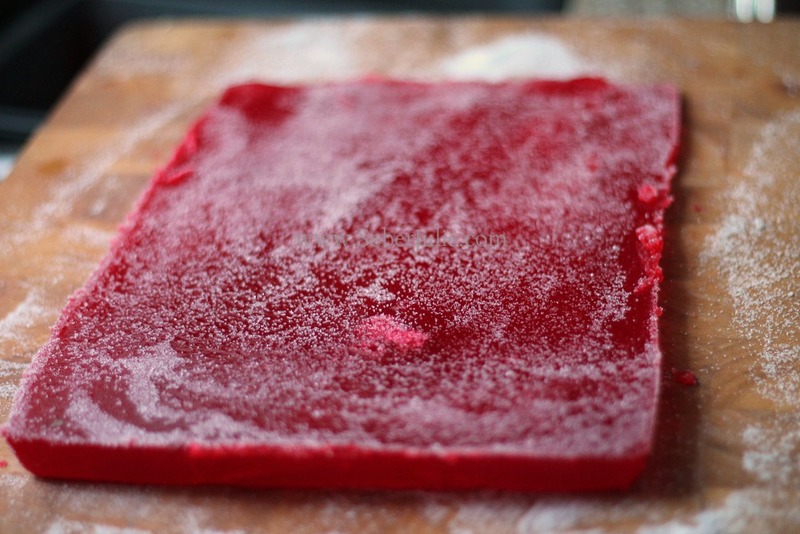 Gently lift the gumdrop rectangle and sprinkle more sugar onto the board and lay the gelatin onto it. The sugar helps keep the gelatin from sticking to the board and tastes lovely. 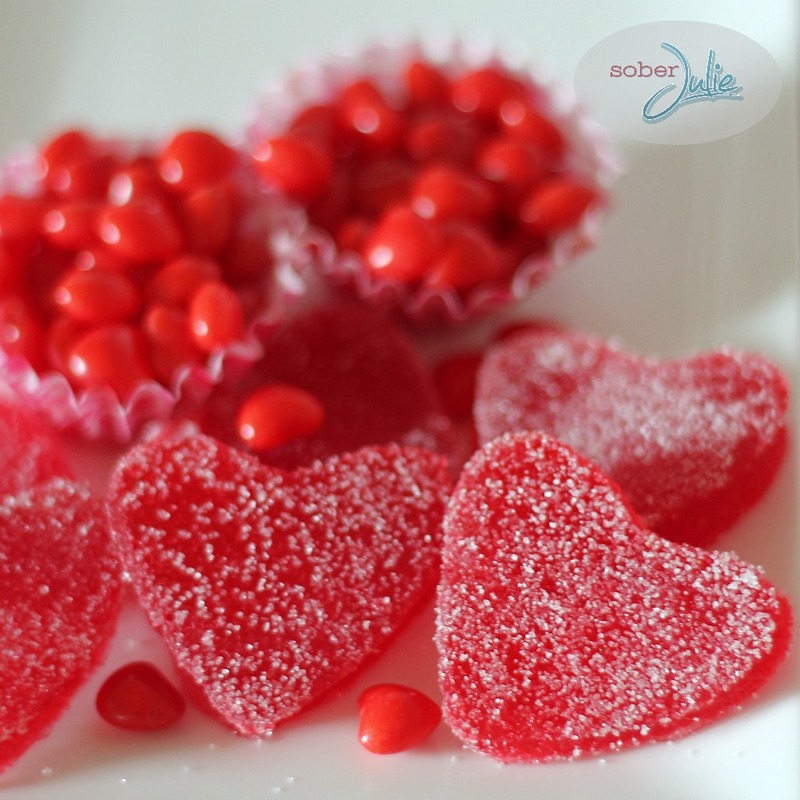 Cut out your heart shapes using a cookie cutter of your choice and roll them in remaining sugar to coat the shapes fully and store in an air-tight container. Spray a 9×13 baking dish with cooking spray and chill it in the refrigerator. 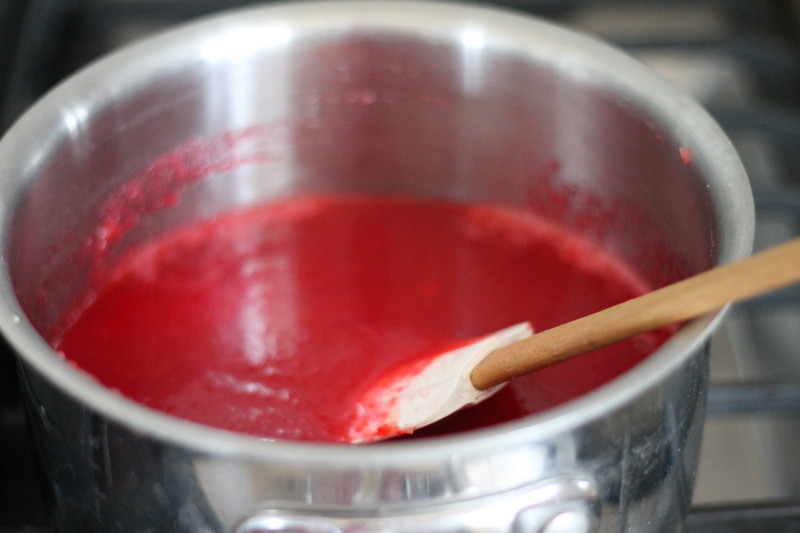 In a large saucepan combine the sugar, applesauce, Jell-O and gelatin and stir constantly over medium heat. Allow to come to a boil for 1 minute. Pour into the cold baking pan and place in the refrigerator until it's set. I actually placed mine in the snow outside for 1 hour, because I'm Canadian and all. Run a spatula around the perimeter of the set gelatin and slide underneath very carefully to loosen. Sprinkle sugar onto a cutting board and invert the pan over it, the genatin should slide out. Gently lift the gumdrop rectangle and sprinkle more sugar onto the board and lay the gelatin onto it. 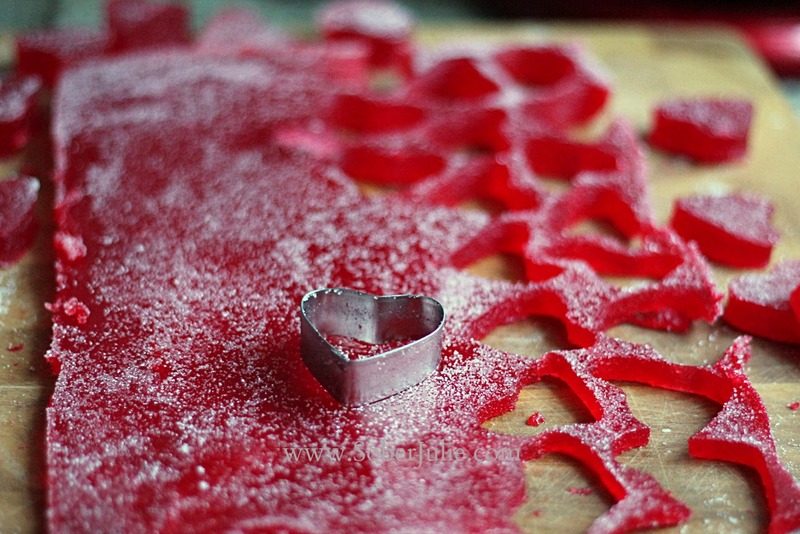 Cut out your heart shapes using a cookie cutter of your choice. Roll in more sugar to coat the shapes fully and store in an air-tight container. 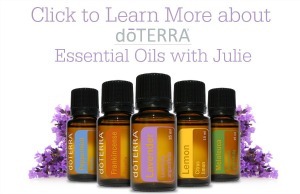 If you’re looking for more ideas for Valentine’s Day, check out my gallery HERE. Wow these gumdrops looks so delicious and I love sugar. 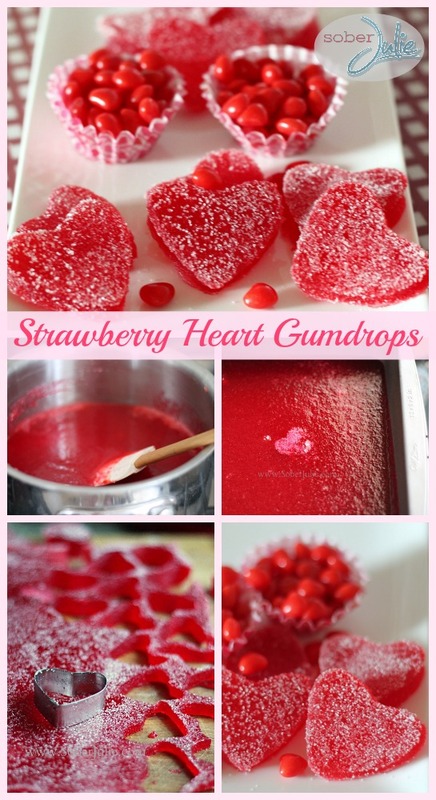 The recipe seems easy enough that the kids could help make these for Valentines Day. Thanks so much for sharing this sugary treat. I made these the other day and they came out great. 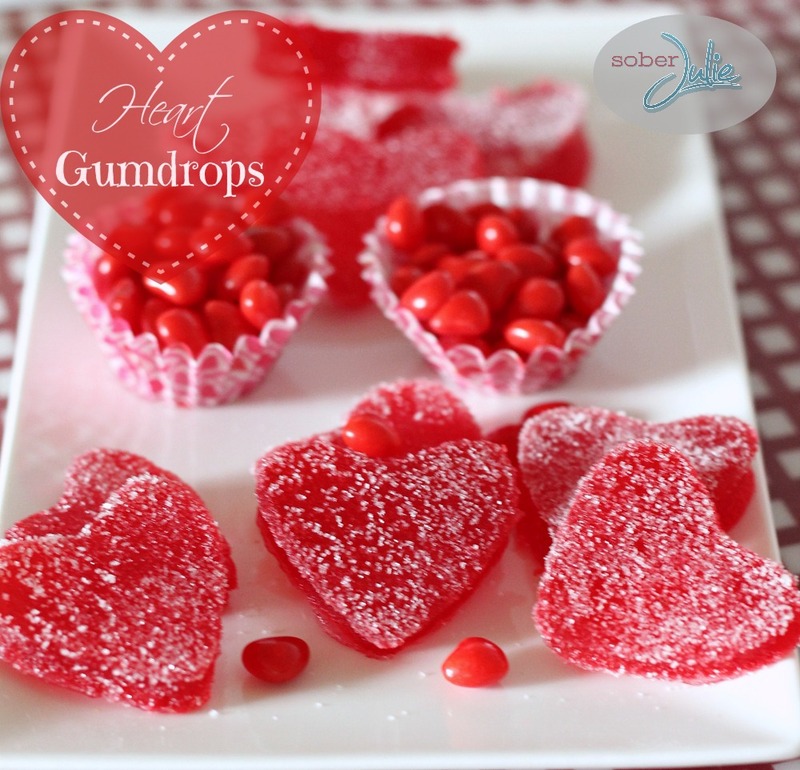 However, the next morning the gum drops seemed watery. How can I prevent this from happening. How odd, that didn’t happen with mine. I’m thinking perhaps to let them set for a time before placing into an air-tight container or getting that container into the fridge. Just curious but in the ingredients you call for to envelopes of gelatin do you use that also or instead of strawberry jello? I used them as well as the Jello. It doesn’t say when to use the unflavored gelatin. Normally recipes call for it to be dissolved first. Is is added with the jello? Very good point, a total oversight on my behalf. I’ve updated the recipe to reflect when the gelatin is used. Thank you! I thought so, just wanted to be sure. Thanks!! Making them tomorrow for my sweetheart! I tried to make homemade jellies once but didn’t like the texture but they didn’t have applesauce, that might help make a difference. Will have to try this recipe!